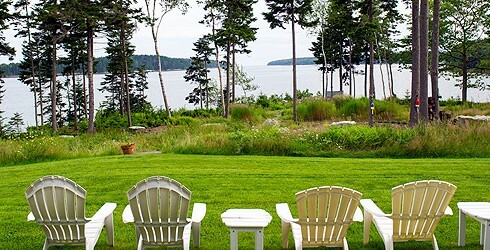 Passage view is a private home on 8 acres located on the mid-coast in the state of Maine. 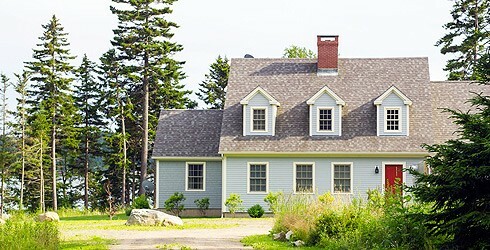 This wonderful retreat offers a natural and peaceful space nestled between the Atlantic Ocean and Maine's forests. Picture yourself resting and reading just 75 ft from shore looking down the Flying Passage into the ocean. 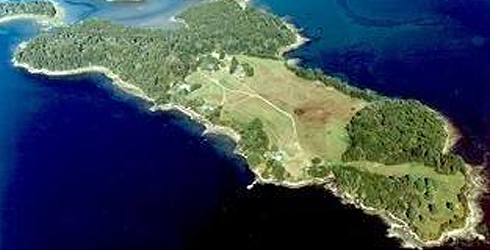 Located in mid-coast Maine, on the point called Jones Neck, this wonderful retreat becomes an island at high tide and full moon. This new home offers spacious living amongst breathtaking views. The cozy gourmet kitchen, great room and master bedroom offer magnificent views of the tree-lined coast. Just 75 feet from the back door to the ocean setting, this private enclave is spacious yet quaint. Passage View was designed for family togetherness with a variety of both indoor and outdoor activities, spring, summer, fall or winter. Passage View is available year round for rental for private. 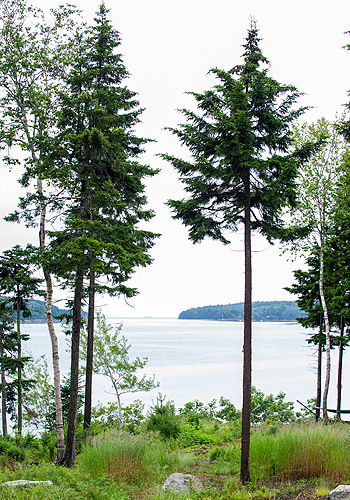 From a brisk morning walk to an evening fire, your family, corporate team or poker group will enjoy the unique peacefulness that only Maine can provide.